August 6, 2010 - Northrop Grumman has notified employees at the Hagerstown Maintenance and Modification Center, Hagerstown, Maryland, that there would be another round of layoffs on August 26th and the plant would be closing by the end of the year. Company spokeswoman Leah Smith indicated there would be about 53 workers left after the August 26th layoffs. Workers will complete work on two U.S. Navy P-3 aircraft which should be completed in September and delivered to the Navy. 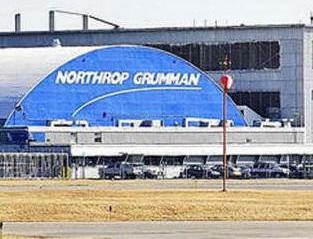 "This was an extremely tough decision, but with a delay in an important U.S. Navy contract and the current lease for the facility expiring in December, there just was not a sound business case for maintaining the facility," said David Tracy, Northrop Grumman Technical Services Hagerstown site director. Back in April 2005, Northrop Grumman was awarded a Navy contract to inspect the wings of U.S. Navy P-3C Orion aircraft in order to identify and correct structural fatigue problems. Under this contract Northrop inspected six of the Navy's P-3Cs.During the inspection, technicians were responsible for removing sections of the airframe "skin" from leading edges of the wings. They search for cracks emanating from rivet holes and repaired any damage found. A number of aircraft were either grounded or flying under heavy performance restrictions as they await the inspection. The Lockheed Martin Corporation's P-3 Orion (on their L-188 Electra commercial airliner) has four turboprop engines, it first entered the inventory in 1962, and more than 40 years later it remains the Navy's sole land-based anti-submarine warfare aircraft. The "C" variant is the only one still in active service. The last Navy P-3C rolled off the production line in 1990. The aircraft is easily recognizable by its distinct tail stinger or "MAD Boom", used for the magnetic detection of submarines. Over the years, the aircraft has seen numerous design advancements, most notably to the electronic packages the aircraft carries. The P-3 Orion is still in used by numerous navies and air forces around the world, primarily for maritime patrol, reconnaissance, anti-surface warfare and anti-submarine warfare. "We are indebted to the employees, our greatest assets, who have superbly supported our customers at this the site for many years. We are doing everything we can to communicate the way forward to them as well as identifying opportunities for them at other Northrop Grumman locations or elsewhere in the Hagerstown area." The company is working to place employees at other Northrop Grumman locations. Employees are being provided training in resume writing, interviewing skills and redeployment support. Northrop Grumman is reaching out to companies in the Washington County, Md., area and also to other aviation companies throughout the industry. Hagerstown is a city in northwestern Maryland, United States. It is the county seat of Washington County, and, by many definitions, the largest city in a region known as Western Maryland. The population of Hagerstown city proper, according to estimates conducted by the United States Census Bureau for a 12-month period ending 1 July 2008, is 39,728, and the total 2000 Urbanized Area population is 120,326. Hagerstown ranks as Maryland's sixth largest city.